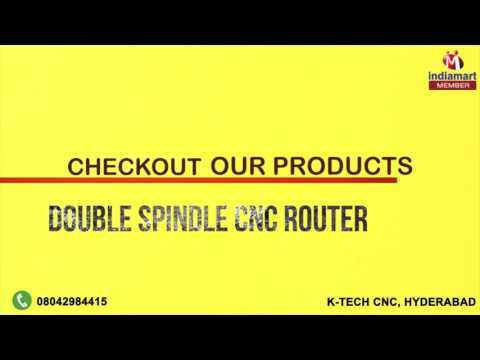 K-TECH CNC (Kameshwara Technologies)", was established with a mission to bring products of market standards and hence our firm is engaged in the manufacturing and supplying of Woodwork Tools. Our range of products includes CNC Router, Small CNC Router and Advertising CNC Router. We started with an aim to deliver products which not only ease the work of the client, but are also high on performance level. With our products, the clients can meet the business success and will be enabled with a tool with the help of which they can make products with 3D design. Our products are high on quality and the raw material used for its production plays an important role. These are procured from dedicated and focused vendors, committed towards quality. Our range is equipped with various features which makes it one of the desired products. These are trustworthy and give a long run performance, available at a very friendly price. We are acclaimed as a producer of superb products which have gained us success and position in the market. We have created marvellous networking bases which have helped us to spread our wings and reach every corner.